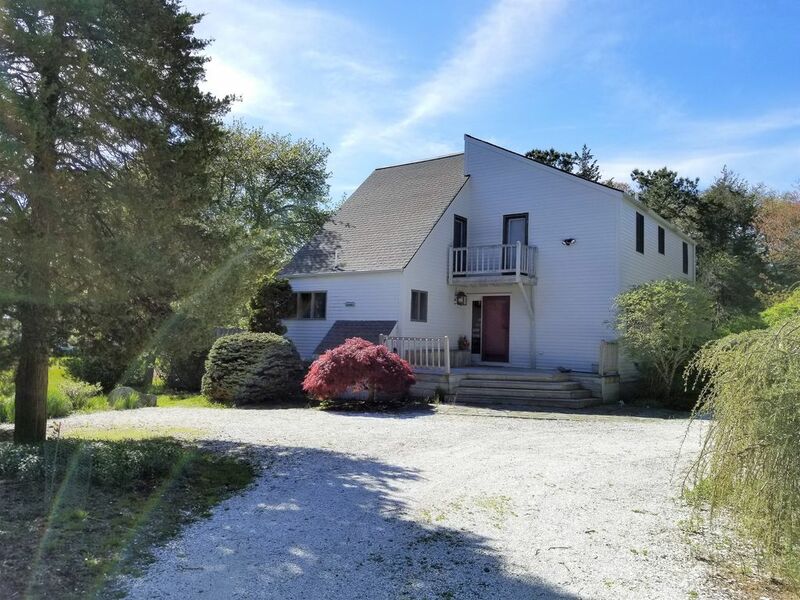 Contemporary home with private setting just 3/10 mile walk through a private neighborhood association path to Skaket Beach. Back yard overlooks an active cranberry bog! Near the Cape Cod Bike Trail and less than a mile to Rock Harbor fishing fleet. There are 3 decks and a fully screened porch with table and chairs with views of beautiful one acre yard. Central A/C throughout plus lots of space for entertaining with the open floor plan. Five bedrooms include the first floor Master Bedroom with a slider to a private patio and outdoor shower. 2nd bedroom on main floor has a queen. 3 more bedrooms upstairs.A loft upstairs makes a great play area. Lower level has full bath, queen sleeper sofa and TV. There is a foosball table for extra fun! Stroll to historic Captain Linnell House for fine dining. Enjoy the sunset over Skaket Beach....It is vacation time!